THIS IS A WORK IN PROGRESS! It leaks a lot unless fully-open or fully-closed. 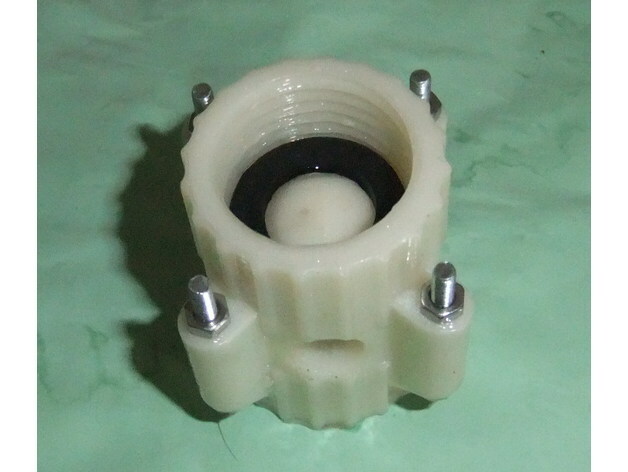 The plug valve and the ball valve designs seem the most solid and 3d printable. This first try is the ball valve. It is highly recommended to acetone-polish the part for 20min after printing it. How it works: The center ball is held tightly between two hose washers, which do all the sealing work. I'm not sure the nuts/bolts are entirely necessary, it could have just been the acetone polishing which made it stronger, but this is the first one that didn't blow apart so I'm not going to question it.